Adhishree has over the years pioneered in the construction & development of apartments, independent villas with excellent quality and service, catering for the best of client needs. Adhishree has been successful in giving the best choice for the clients requirement with in-house team of architects and Engineers who go the extra mile in searching for the right finish to give the strategic touch to their homes. Adhishree offers the best choice of design with prominence to utilization of space and convenience to our clientele by closely understanding their need. 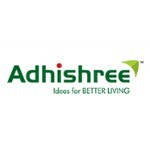 Riding on the success of several projects in Bangalore, Adhishree is embarking on Adhisree Sunshine, a Premium 2 and 3 BHK Apartments Complex with all modern Amenities, off Jakkur Road, Bangalore North.